Today’s card is being featured on Stylin’ Stampin’ Inkspiration. The challenge was to create a Father's Day card. I'm always up for making a card for mom or grandma, but what to make for my day. Thankfully I remembered the versatile Coffee Cafe Stamp Set. 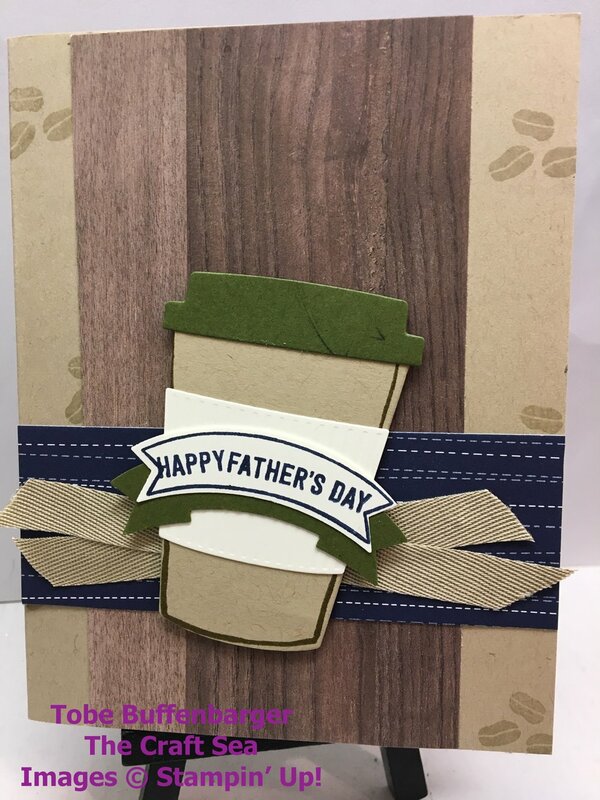 This is perfect for making a simple card to celebrate Father's Day.